Inlife Sea Buckthorn Oil capsules are well known for skin and beauty benefits. It's a unique combination of 14 essential vitamins, powerful antioxidants, essential fatty acids, amino acids, lavonoids. 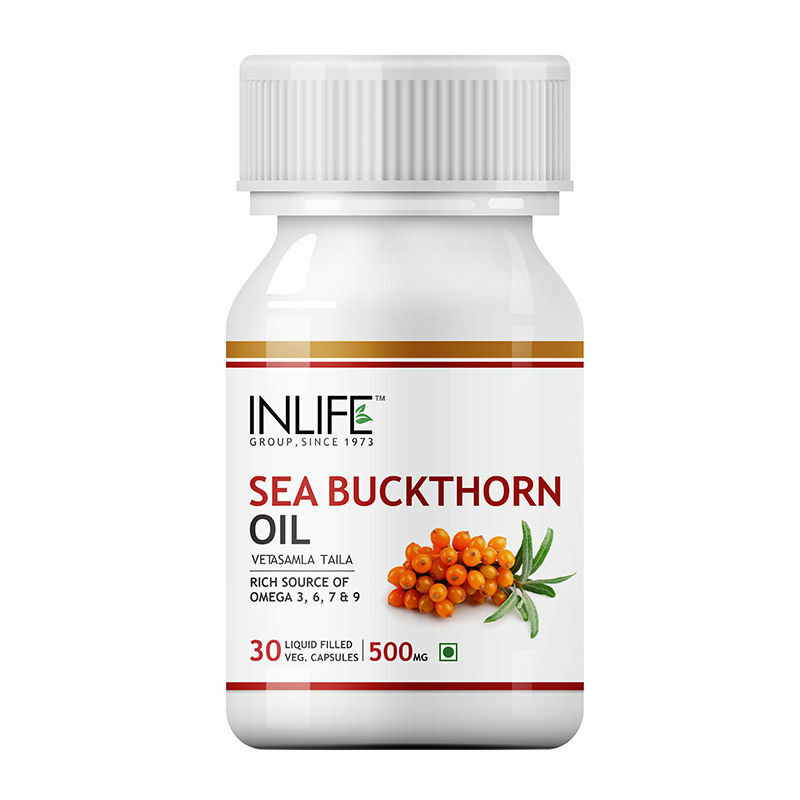 Contains omega fatty acids- omega-3, omega-6, omega-9 and the rare omega-7 fatty acids which are useful for optimal health. Controls blood sugar levels, boosts gastro-intestinal health and enhances cardiovascular health.